King of the Cage world atomweight champion Andy "The CrAsian" Nguyen (5-3) will defend her belt against Melissa "Magic" Karagianis (2-2) this Saturday night at the Seneca Niagara Resort and Casino in Niagara Falls, New York. Back in 2015 these two met before with Karagianis taking the split decision victory. 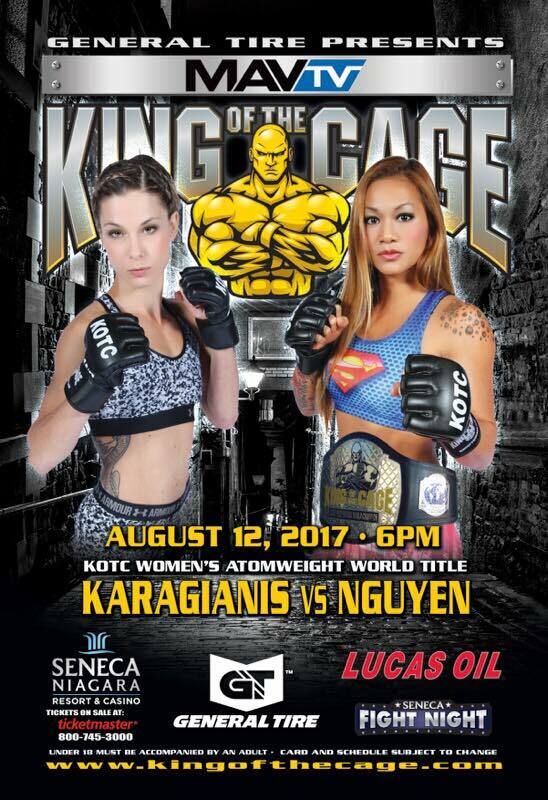 Will Nguyen get her revenge or will a new champion be crowned? Visit King of the Cage for more event information including ticketing options. This event will be broadcast to over 50 million U.S. households so check with your local cable provider to watch live. Photos courtesy of Andy, Tim Eddington, Melissa, Dave Laus and King of the Cage.